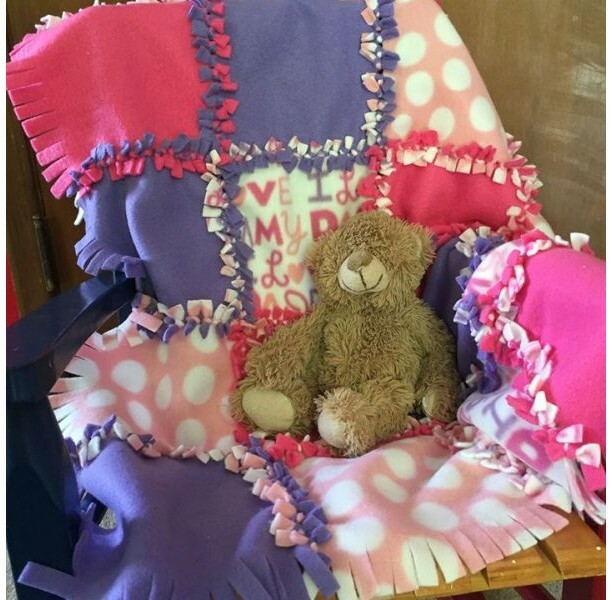 Perfect receiving sized blanket (approximately 28″x36″) for a new baby or toddler nap blanket. These are made of soft fleece and are super comfy. Limited quantities ready to ship and may require 2 week turn around time.